Looking at gold today then, the dollar is rising versus not only the Yuan thanks to the PBoC’s lower fix but also versus the euro, which has now decidedly brushed up against resistance at $1.16, saw its own shadow of Italian political crisis and ran screaming. 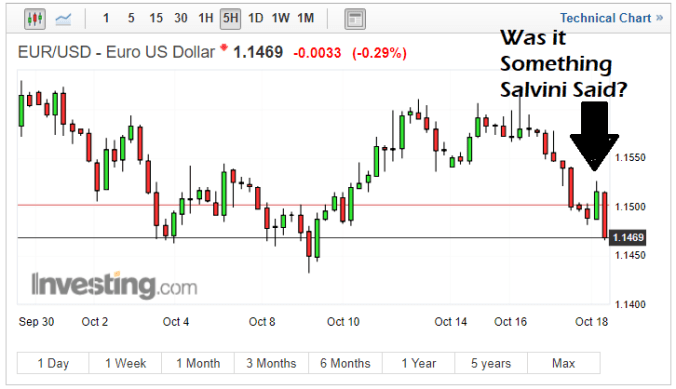 So here we have another example of the euro puking and gold rising. This is the third time in just over a week. 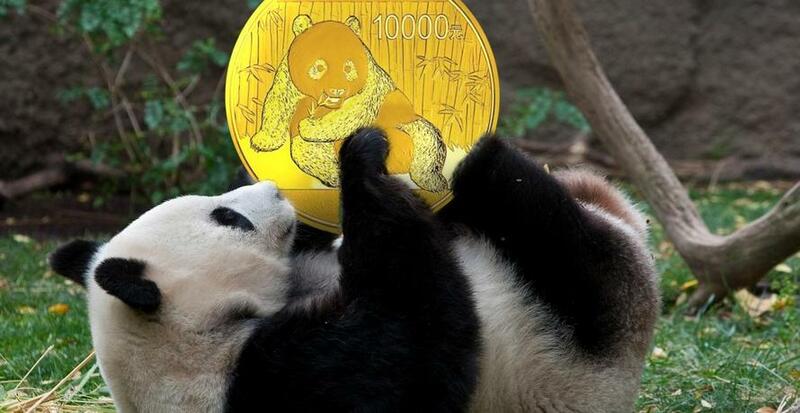 Gold is not supposed to be up while the euro and yuan are down. 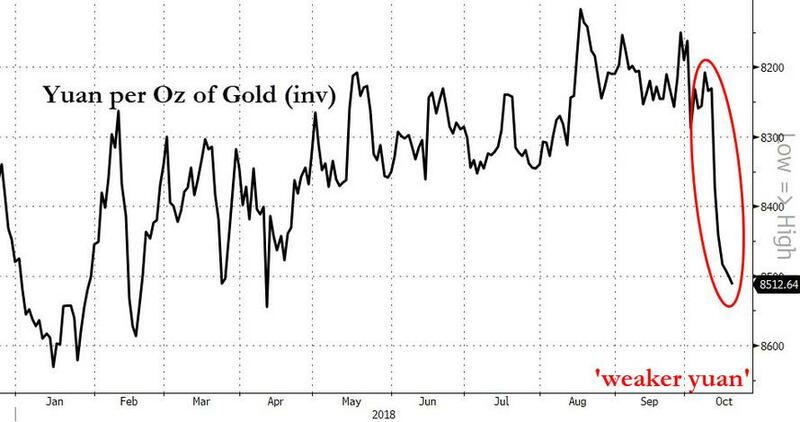 What this is telling us is that the short-term dollar liquidity selling pressure gold always goes through during the early stages of an emerging crisis is coming to an end. And what comes now is the fear part of the crisis. Retail investors are falling out of love with hedge-fund hotels like Facebook (NYSE:FB), Tesla Motors (NASDAQ:TSLA) and, today’s whipping boy, Netflix (NASDAQ:NFLX). They are looking around at the craziness and buying some gold down here because it looks cheap (which it is) but not in the gutter either. 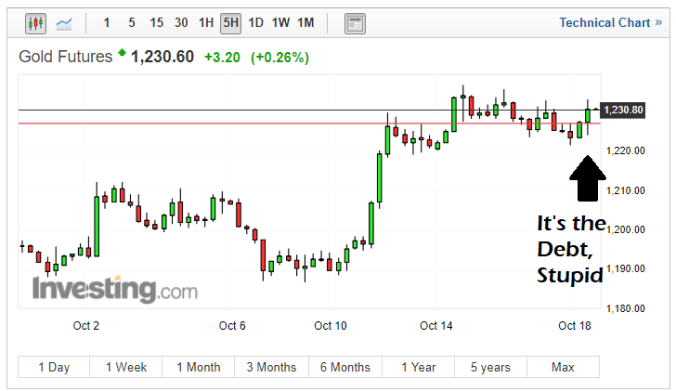 The recent failure of gold to break down below the 2016 low is giving bulls moxie. Add to that institutional money is scared to death of the Democrats winning something on November 6th and we have some very choppy equity markets. I expect a rally in the Dow and the S&P 500 after the Republicans hold the House and the Senate as that pressure fades. But, the bigger concern for Dow bears at this point should be the ratcheting up of rhetoric between Italy’s leadership and the EU’s over Italy’s budget. That is putting downward pressure on the euro while the ECB tries to scare the Italians into knuckling under with rising interest rates by not stepping in to buy Italian debt. 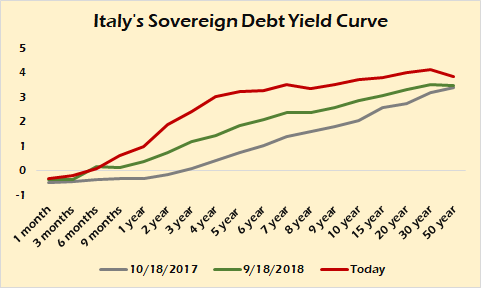 The middle of the Italian yield curve has gotten awfully bumpy this week. That hump showed up last week and has persisted into this week. For now the market doesn’t want to believe that Italy will lose its fight with the Troika — The ECB, the IMF and the EU — but with Deputy Prime Minister Matteo Salvini entertaining a run for Jean-Claude Juncker’s position as President of the European Parliament, that illusion may well shatter soon. For now, the markets are caught between the rock of the Democrats’ Resistance to Trump and the hard place of Italian budget talks and the hope that Theresa May will cave to EU demands in Brexit talks. But, once that worry lifts, like the U.S. equity markets, the European debt markets will let loose as clarity over the U.S.’s political future between now and the 2020 election will make the choice for smart money a whole lot easier. And as I’ve pointed out in the past, German Chancellor Angela Merkel is on her last legs in Germany, despite the non-committal results of the Bavarian election. For now, her troubles will be kept out of the headlines while the German political establishment tries to figure out how to maintain control. But, this is yet another catalyst for gold in the short to medium term along with the worries over China’s shadow banking system melting down. Join my Patreon because gold makes sense to you.